The 14th Ward Independent Democratic Club – Advancing good government and progressive politics. Save the dates for the 14WIDC Annual Fundraiser and Endorsement Meeting! SPONSOR THE EVENT AND OUR WORK! Get your fundraiser tickets here! Club Members: to be eligible to vote in the 14WIDC Endorsement Meeting to be held on Sunday, April 28, you must pay your 2019 Club dues. Current Members must pay dues by the April Endorsement Meeting on April 28. If you paid dues in 2017 and 2018, you are considered a current member and must pay 2019 dues at or before the Endorsement Meeting to vote in the endorsement. Lapsed members must pay dues by February 27. If you were a member, but you did not pay dues in 2017 and 2018, your membership is considered to have lapsed. New members must pay dues by February 27. If you were a member, but did not pay dues in 2016 and 2017, then you will be considered to be a “new” member. Please join us for the 14th Ward Independent Democratic Club’s Annual Meeting and Barbara Danko Political Forum on Sunday February 10 at 1:00pm, in Simmons Auditorium, Tepper Quad, CMU. IN CASE YOU MISSED IT, READ ABOUT IT HERE. View the presentation here. 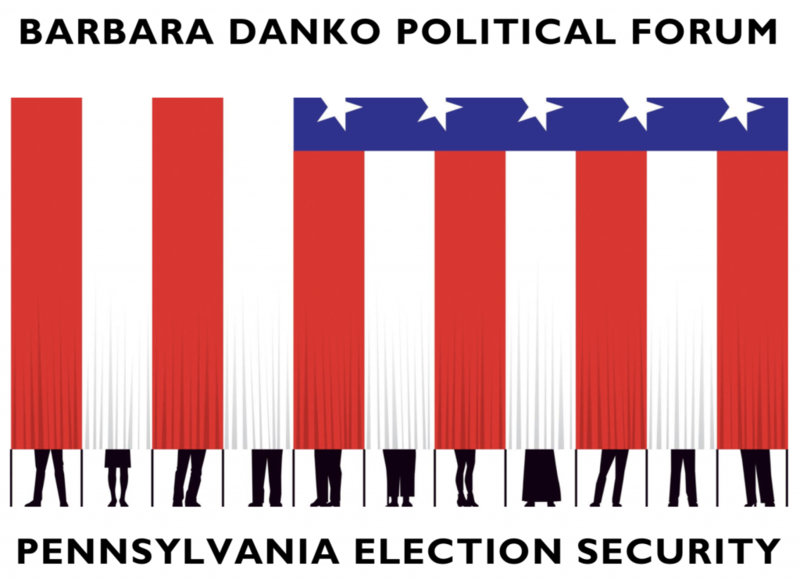 Our featured guest speaker for the Barbara Daly Danko Forum was David J. Hickton, Founding Director of the University of Pittsburgh Institute for Cyber Law, Policy, and Security who spoke on election security. Additionally, the 14WIDC held elections for Board Members and officers and invited attendees to join the club or renew their membership for 2019. More details on the event here. Event flyer here. The 14th Ward Independent Democratic Club is gearing up for 2019 and the elections to be held next year. Save the date for our Annual Meeting on Sunday, February 10. The 14WIDC will be holding elections for new Board Members. 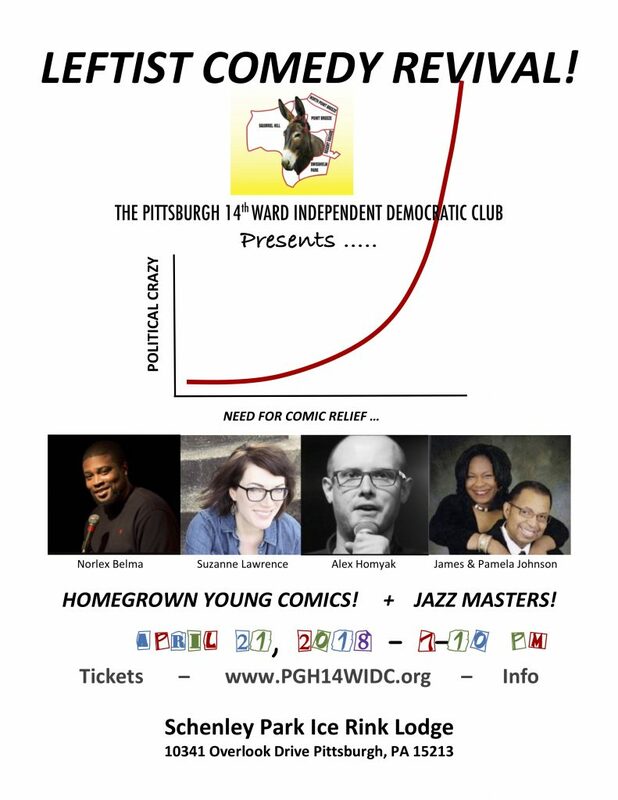 If you are interested, please contact Noel Walkington at treasurer@pgh14widc.org. You may self-nominate, or nominate someone else. To be a Board Member, you need to be a registered Democrat in the 14th Ward and an active (paid) member of the Club. You can renew your Club membership online here or pay by check at the event. We will also have a speaker or panel on a timely topic sure to be of great interest to our members. We hope to see you all there! There will be an Interfaith Community Vigil at 5:00 PM this evening (Sunday, October 28) at Soldiers and Sailors. Doors open at 3:00 PM. Parking is free at the Soldiers and Sailors lot. The event is organized by the Jewish Federation of Greater Pittsburgh and everyone is welcome. October 9, 2018 is the final date you can register to vote in Pennsylvania prior to the November elections. Want to check your polling place? Want to change your address? Want to apply for an absentee ballot? Dahnload the 2018 VOTERS GUIDE. Oh, did we have a great time …. The sponsors below help to fund our work to reach 14th Ward Democratic voters through our Primary Election Voter’s Guide and other efforts and publications to raise voter awareness and rally support for progressive democratic candidates for offices that have jurisdiction in the 14th Ward. Thanks to everyone above who contributed to make this year’s activities possible! We also want to thank the many people in the membership and Board who volunteer to make the 14th Ward, Pittsburgh, Pennsylvania, and our nation a better place for everyone. We’re pleased to announce our 2018 Primary Election Endorsements!